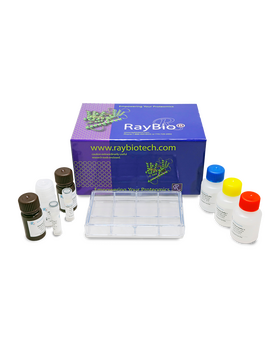 A chemiluminescent blot documentation system: CCD camera, X-ray Film and a suitable film processor, gel documentation system, or another chemiluminescent detection system capable of imaging a western blot. Figure 1 - HeLa cells were grown to 80% confluency and then serum starved overnight. Cells were either untreated (bottom panel) or treated (top panel) with TNF alpha and Calyculin A. Data shown are from a 20 second exposure using a chemiluminescence imaging system. The signal intensity for each antigen-specific antibody spot is proportional to the relative concentration of the antigen in that sample. 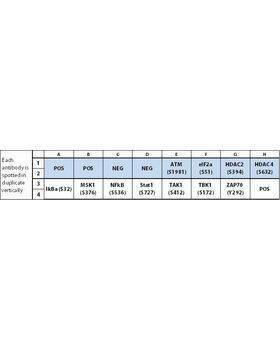 Comparison of signal intensities for individual antigen-specific antibody spots between and among array images can be used to determine relative differences in expression levels of each analyte sample-to-sample or group-to-group. 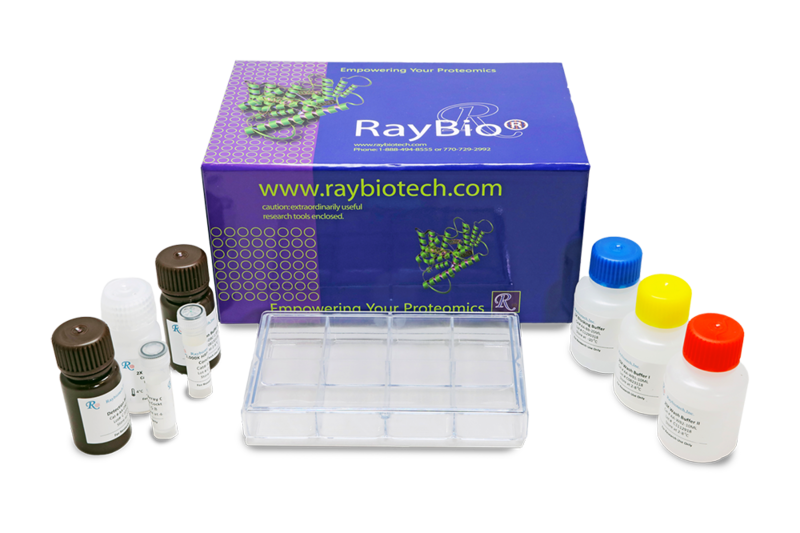 We used it to detect the NF-KB pathway phosphorylation, the background is acceptable, works fine.